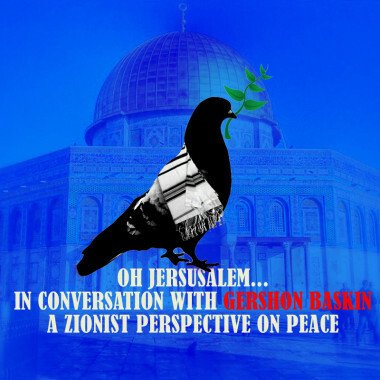 Today on Shtetl we hear from Gershon Baskin in Jerusalem. Baskin is a household name in negotiations for peace between Israel and Palestine and an advocate for strengthening Jewish/Arab relations. Baskin gives context to the current wave of violence in Israel and Palestine. Thanks for tuning in to Shtetl on CKUT 90.3FM in Montreal. 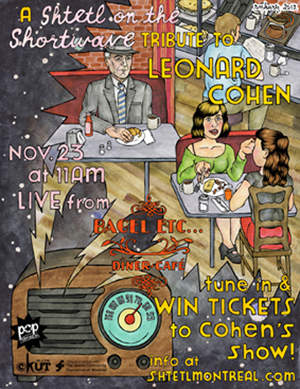 You can listen to the podcast right here or download it from Shtetl’s iTunes. Music on this episode: Kid Loco, David Broza ft Wyclef Jean: East Jerusalem/West Jerusalem, The Angelcy: The Call, Nai Barghouti: “Yumma Mweil Al-Hawa” (“Oh Mama, the Breeze Bends”), Sinead O’Connor: Jerusalem. This entry was posted in Shortwave and tagged Gershon Baskin, Israel, Israeli-Palestinian conflict, Jerusalem, Palestine. Bookmark the permalink.